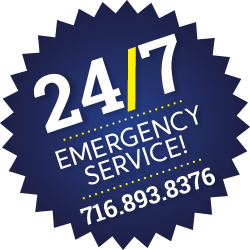 Need Plumbing, Heating or Cooling in Buffalo, NY? Buffalo residents are no strangers to plumbing issues, and we realize that when it comes to choosing your partner in plumbing, you have a wide variety of choices. Often a drain on time, energy, and money, finding the right plumber can be a difficult task. That’s why we at Matthew Kandefer Plumbing work hard to make the choice easy! As Buffalo residents ourselves, we are aware of the unique challenges you face with your plumbing, and this “we live here too” point of view allows us to out-perform even the largest national plumbing chains. We have been serving our customers’ plumbing needs – both commercial and residential – for years, and our long and growing list of satisfied patrons serves as testament to our skill and level of customer care. Quality of care, timely and professional attention to your needs, and a high level of expertise are the hallmarks of our business. We handle all plumbing issues from simple clogs, to entire system overhauls/replacements and new constructions. Our portfolio of comprehensive services, from the most simple to the most complex, are all handled with the same level of precision and quality, make us Buffalo’s chosen partner for all your plumbing needs. Call Matthew Kandefer Plumbing today, and see how we “flush” out the competition!